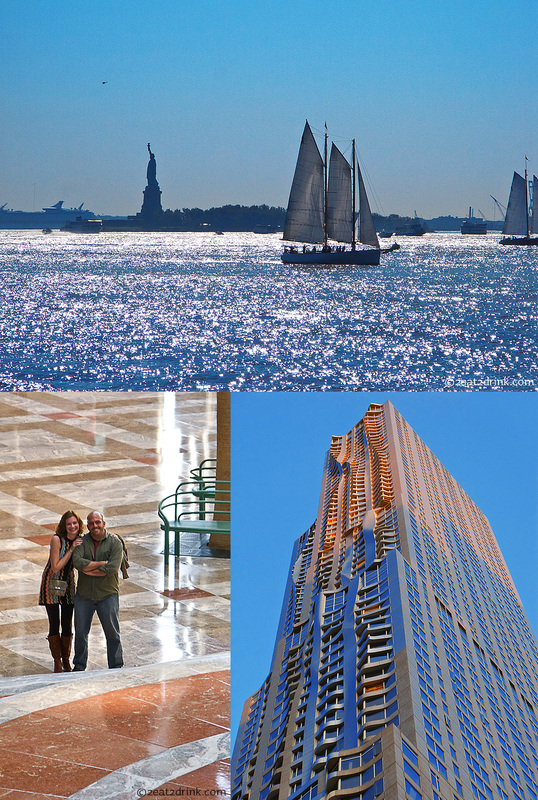 A Sunny Autumn Weekend in New York City… and a very belated post! Admittedly, we are way behind on our travel-related blogs, as this post is about a trip to New York that we took last October. Yes, October. However, since a major goal of that trip was to visit the location of the new World Trade Center complex and see the under-construction Freedom Tower, Memorial Day seemed like the perfect time to finally get this post done. Accompanied by our good friend Stuart, we started our time in the city with brunch at the Minetta Tavern in Greenwich Village. 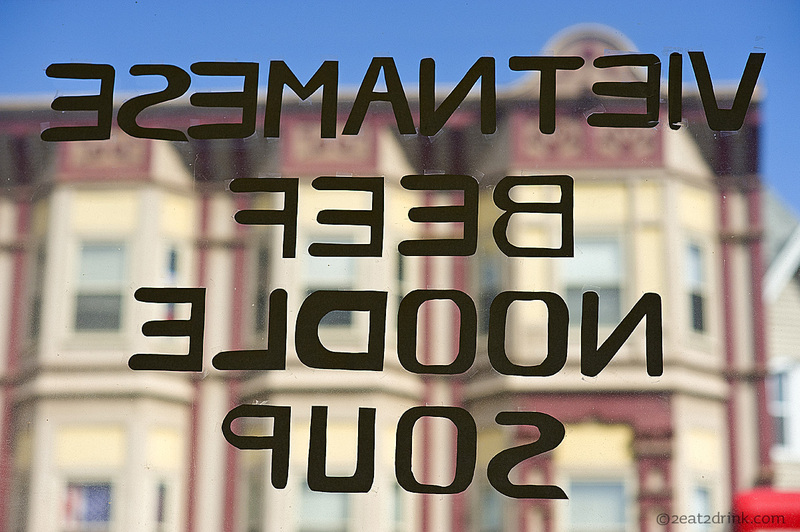 Writers, poets, and musicians have frequented this lovely establishment over the course of its long history, and we were diggin’ its classy vibe. The food and drinks were pretty fabulous, too! Brunch at the Minetta Tavern. Highly recommended! 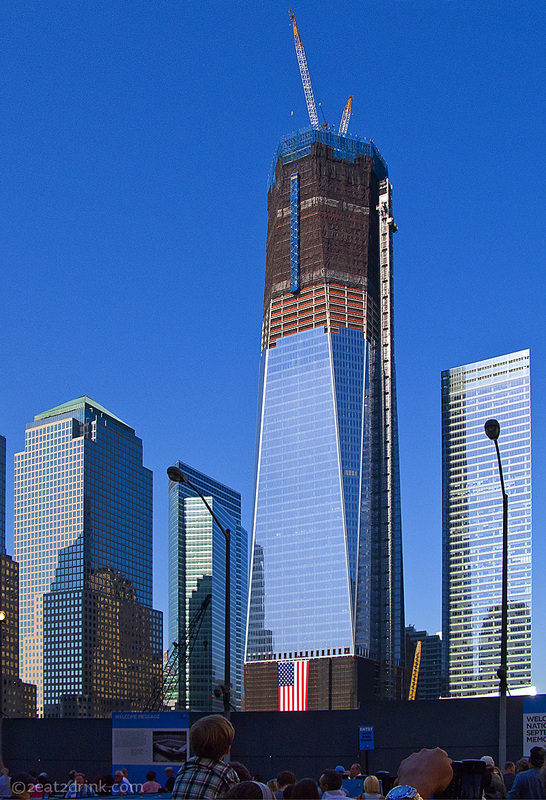 The Freedom Tower rising to its final height of 1776 feet. After spending some time strolling along the Esplanade – gazing out at the Statue of Liberty, the Hudson River, and the New Jersey skyline – we then wandered further, stumbling across the Frank Gehry-designed residential tower at 8 Spruce Street. This building’s amazing design was beautifully highlighted by the late-afternoon sun. Hanging in the financial district. The view from the Esplanade, Frank Gehry’s 8 Spruce Street, Heather and Stu! A death-defying cab ride later and we were in the Lower East Side, where we ended up at a little place called Death + Company. This speakeasy-style establishment was the epitome of low-key cool. We were highly impressed with both the mixologists’ skills and the appetizery delights. I can’t say enough about this place. Go there. Death + Company: some of the best mixed drinks we’ve ever had (Rich recommends the Rock, Paper, Scissors), the amazing truffle mac and cheese, and a peek at the very creative menu. On day two of this trip, we unexpectedly ended up in the middle of a street fair. Really. A long stretch of a busy Manhattan street was closed, and food trucks and vendors’ booths were set up to sell… well, just about every type of food, gift, and craft you can imagine. We strolled and noshed and shopped away, and somehow ended up at the Russian Vodka Room. This cozy little place features many different varieties of infused vodka, along with specialty cocktails and authentic Russian food. After stopping there for a drink, we decided we’d walked enough for one day and hopped in a cab for SoHo. The Russian Vodka Room. Infused vodka is one of their specialties (pineapple pictured). Not knowing where we were heading, exactly, we wandered the streets of one of our favorite NYC neighborhoods until we found a tempting-looking restaurant. 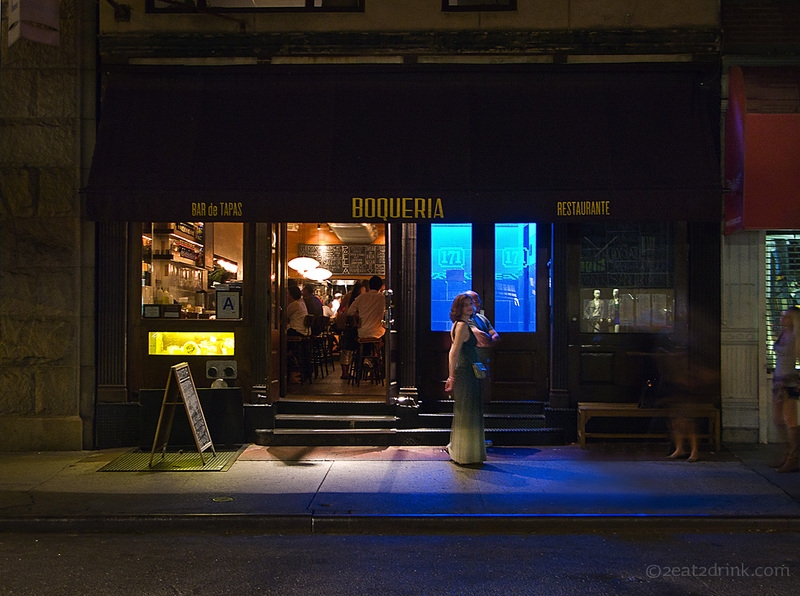 Boqueria, on Spring Street, was where we dined. This tapas-style place featured delicious food and very nice sangria. Unfortunately, we ate too fast to get any good pictures of our meal. 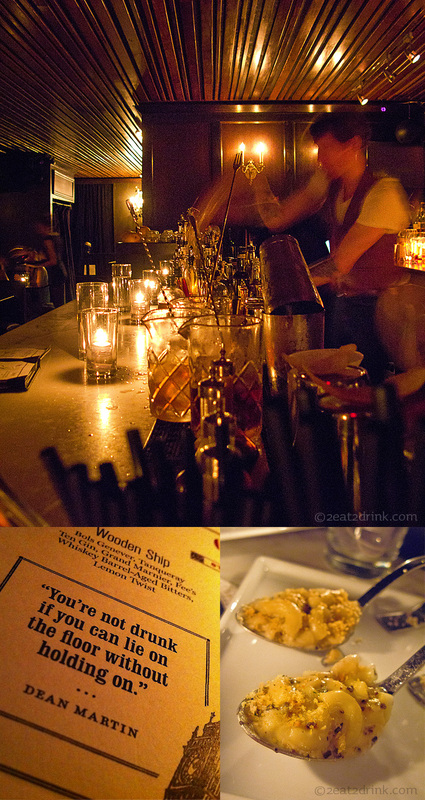 After a quick drink at Pegu Club, we headed home to Stuart’s place. Many thanks to Stu for always being the awsomest host! *Rich’s footnote: Heather wrote this post. If you couldn’t tell by her lovely style of writing, you’ll be able to tell by looking for the “by HFBrainerd” at the end of the tags. If a post doesn’t note the author, then it was poorly written by me 🙂 , and nicely edited by Heather. If you’d like, please check out Heather’s other blogs: Disney For Five and Driving Blind. All Bruce Lee references aside….this is one cool looking piece of fruit! 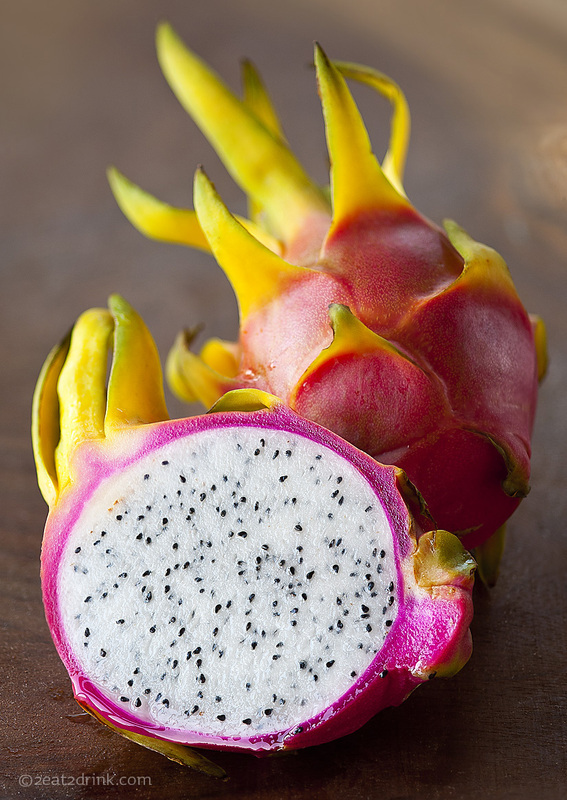 The dragon fruit, or red pitaya as it’s also called, is the fruit of a cactus species. The bright magenta-red skin and yellow flames of the exterior had drawn a large crowd in the entrance to Wegmans (including me). The roughly ten dollar price per fruit may have scared a few people off, but not me…..I had to have one (or two) to share with you! The outside is shockingly different than its bright white, seeded inside. The fruit has the texture of a kiwi with an almost bland, mildly sweet flavor. Is it worth handing over a ten dollar bill, you ask? (I’m not sure they are always that much.) For the occasional shock value, it just may be….and it is quite large. The boys did try it and gave the thumbs up! Dragon fruit, or pitaya. Arguably one of the coolest looking fruits available. Bánh Mi. The perfect sandwich? Where would we be without our friends? 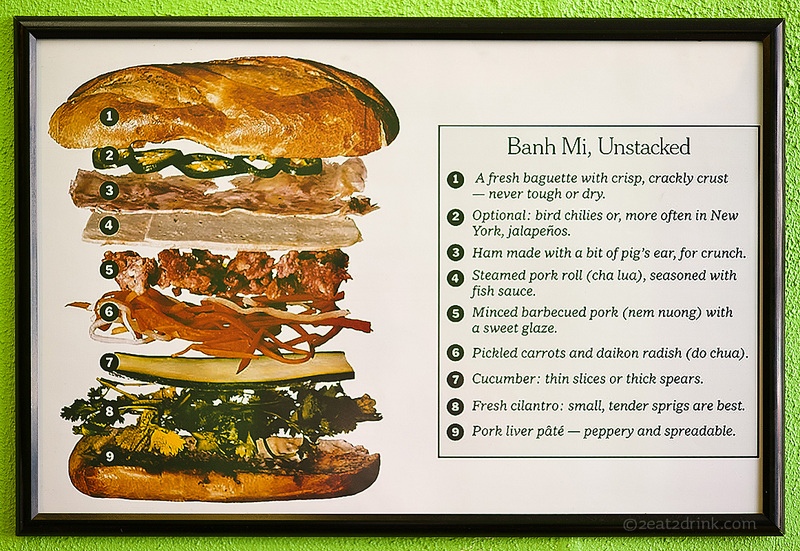 I know where I most likely wouldn’t have been… Whatta-Bánh Mi Vietnamese Sandwich Café (673 Monroe Ave. in Rochester, NY). That’s not to say I wouldn’t have wanted to go there… but I just didn’t know about it until Chef Mark suggested we go there for lunch. So….in honor of Mark’s 40th birthday (today! ), I thought it was appropriate to post about our last trip there. 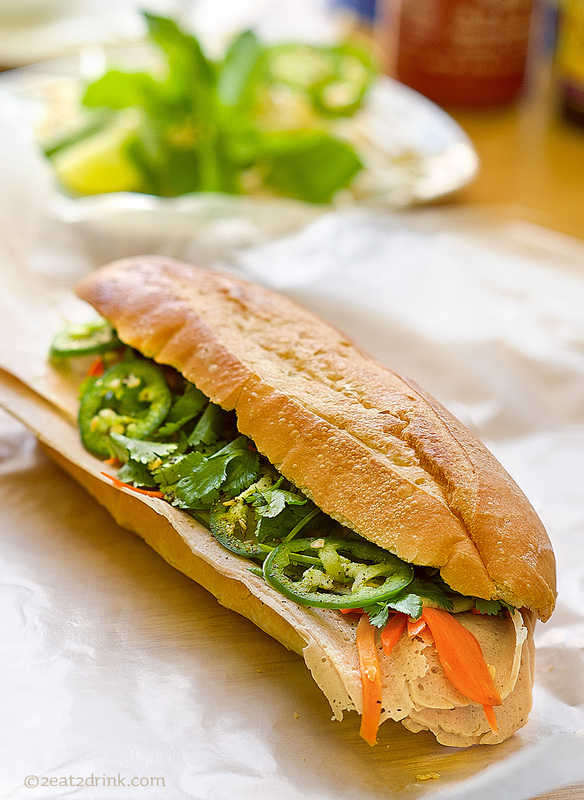 In Vietnamese, bánh mi refers to bread, or more specifically the French baguette. However, in the U.S., the term generally refers to a Vietnamese sandwich. And oh what a marvelous sandwich it is! It may be the PERFECT sandwich. We each had a Bánh Mi Dac Biet…the signature combination. Versus me trying to describe this sandwich perfection, click on the picture below to enlarge and see the details. This sign is on the wall of the café. The super fresh baguette is exactly as described, and the sandwich fillings blend together perfectly. The bánh mi probably would have been enough of a meal, but the pho (noodle soup) looked so good, I had to order that as well. It was awesome! 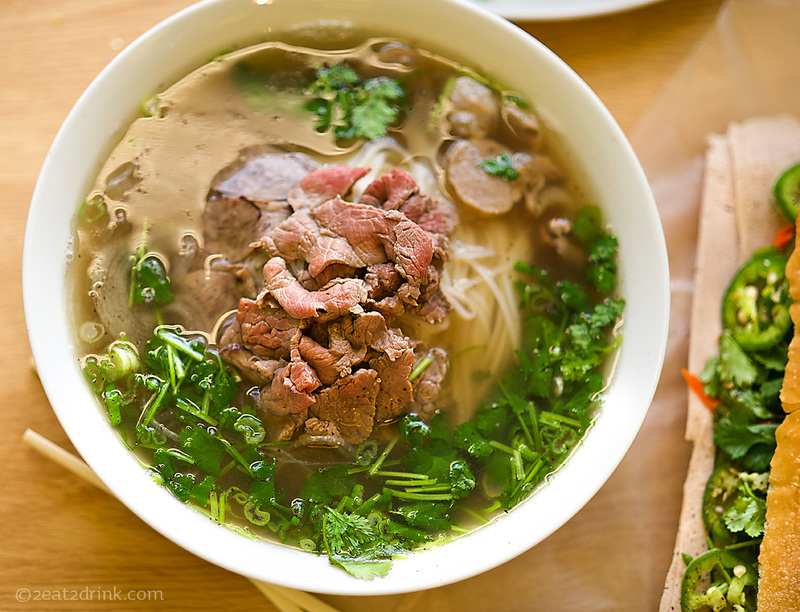 Pho Dac Biet. The special with all cuts of beef. I can’t wait to take Heather there and share the sandwich (and soup) love. 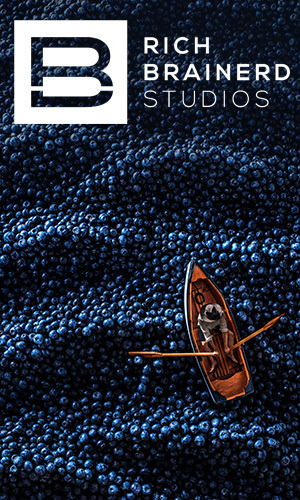 When you go, look for us…..and let us know what you think. 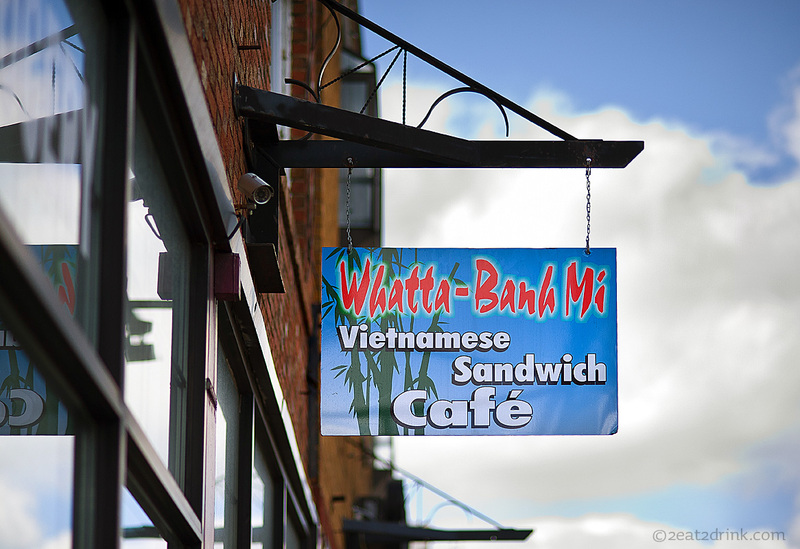 Whatta-Bánh Mi Café sign.....leading you to sandwich (and soup) perfection.